1.6 Does it fit your mailbox? I have a Xiaomi notebook pro on my wooden dining table and it’s really an eyecatcher. the only downside of this beautiful workspace is that there is an old school Logitech mouse next to it. The touchpad is really nice but I prefer the mouse when working. I’m not a gamer so I do not need lights, extreme dpi or other features. The only thing I found important is the deisgn (because it’s the living room) and if it does the ordinary mouse job. Most mouses need a USB receiver but I have Bluetooth on my notebook, so I want a Bluetooth mouse and save a USB port. That was the main reason to buy this mouse. Let take a look if the mouse is a keeper. Of course, the mouse is for sale at Gearbest. 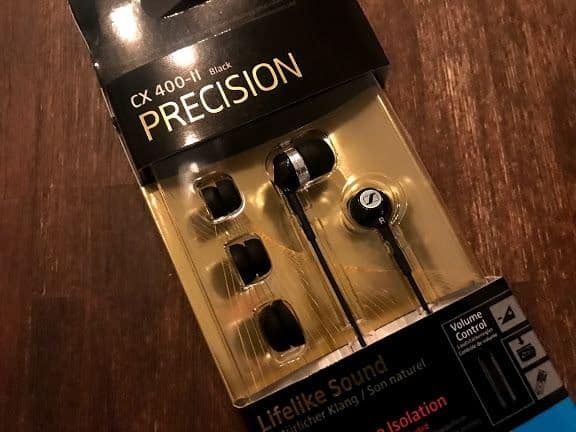 For a price around 15 euro. Like I mentioned before: design is important for me. 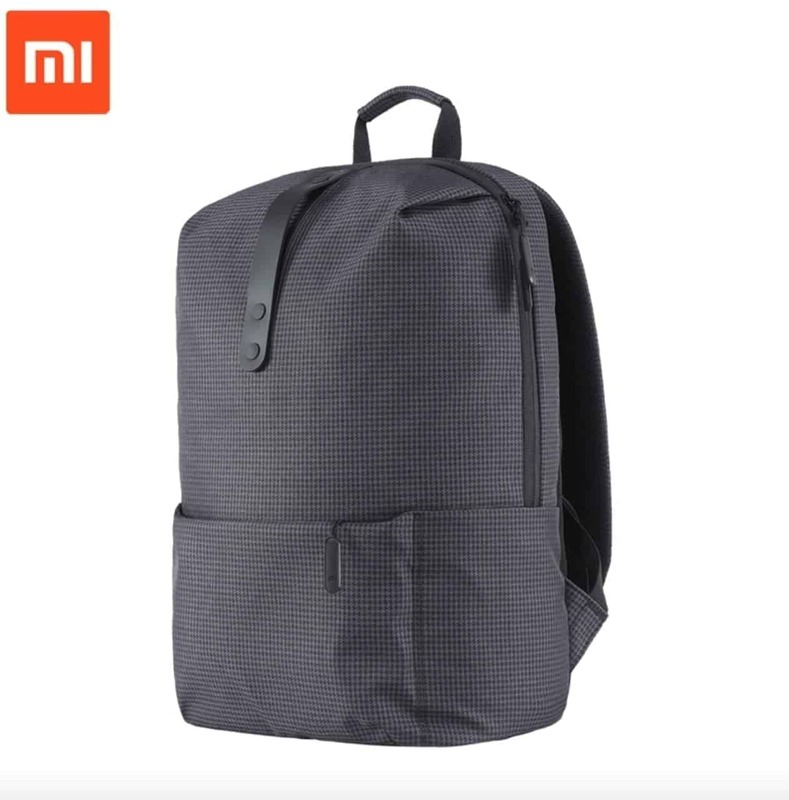 And because the brand is Xiaomi I think that would be the case. 1 x USB Receiver inside the mouse. The case is hard carton and very strong. It would easily survive shipping from China without any damages. When I was unboxing I was looking for a receiver. It was not in the box, where was it? 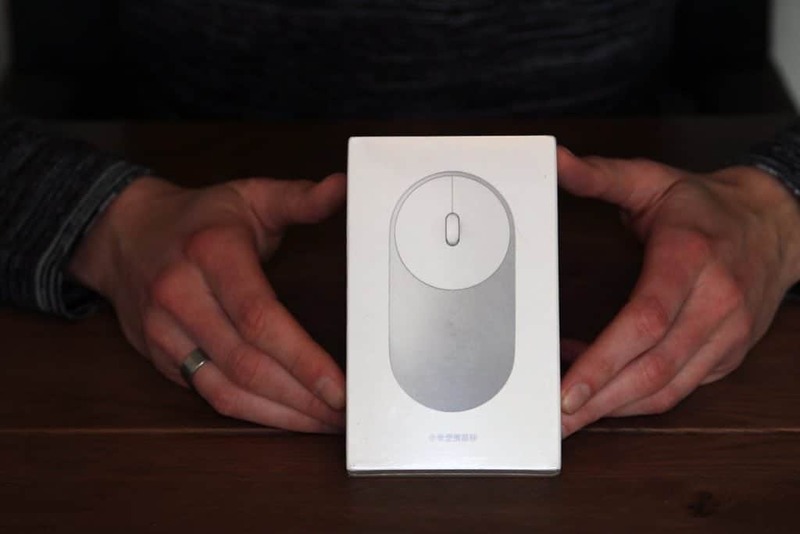 If you order only the mouse I think it will fit because the box is really small. 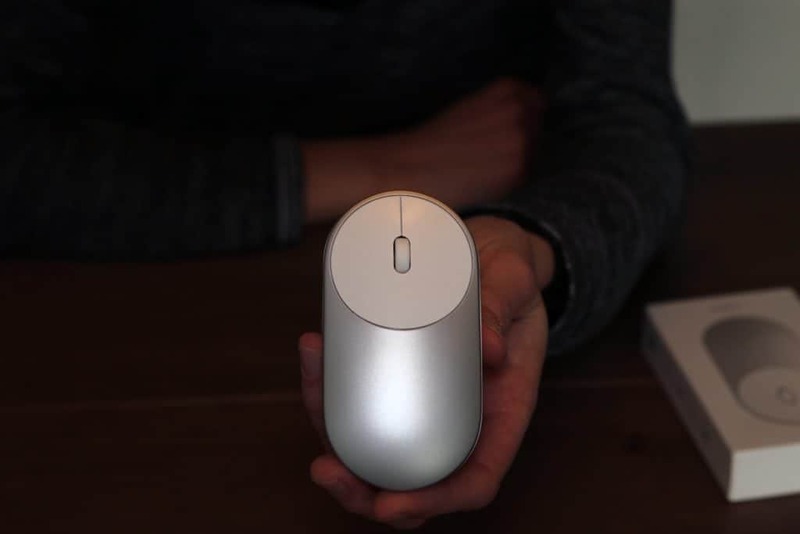 The mouse has 2 modes to operate: Bluetooth 4.0 or wireless 2,4 GHz. When using wireless you need the USB stick receiver. 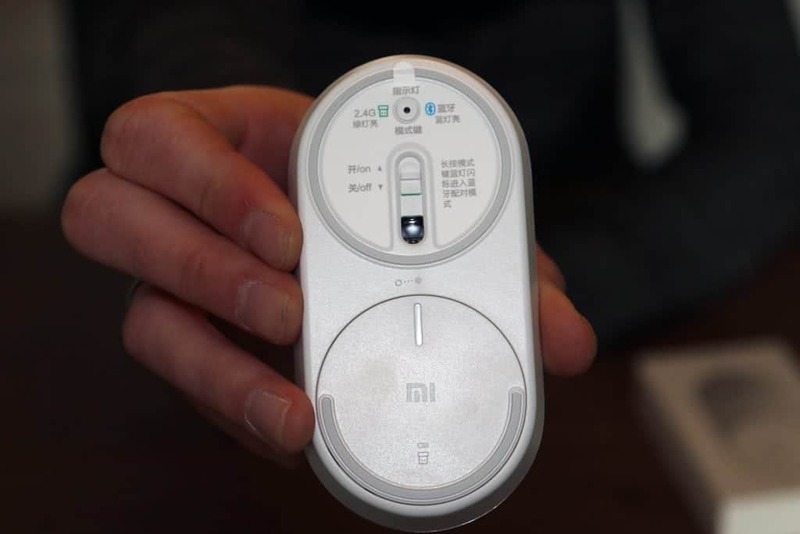 The mouse has 2 buttons and a scroll wheel that is clickable. 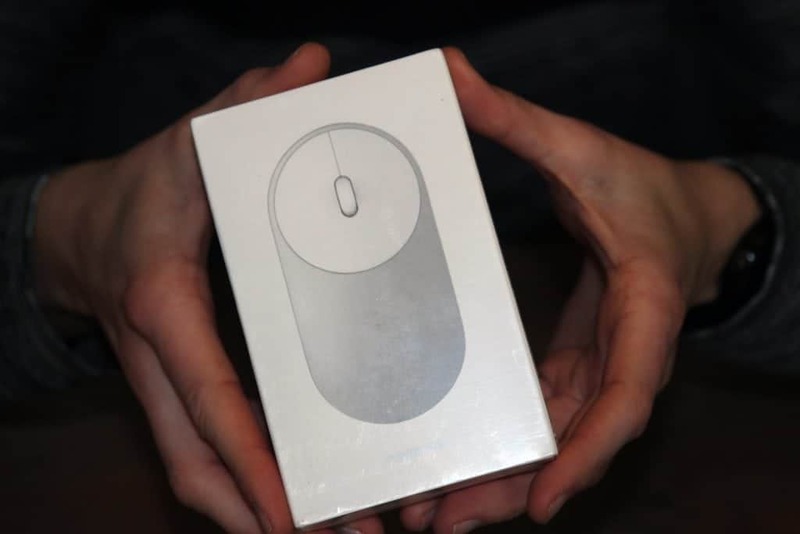 The portable mouse has a good minimalistic design. The mouse gives me an Apple feel. It’s compact and small so it’s easy to fit in your bag. 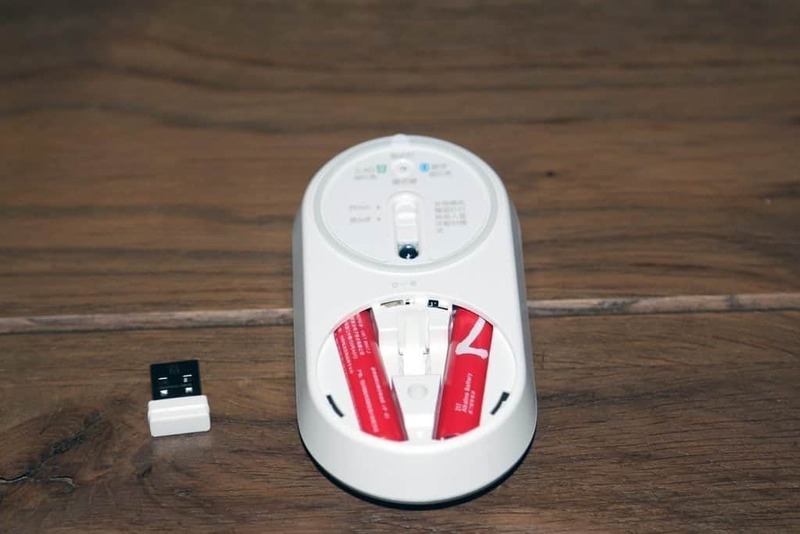 The receiver is stored in the mouse, but it’s so small that you also can leave it in your laptop. 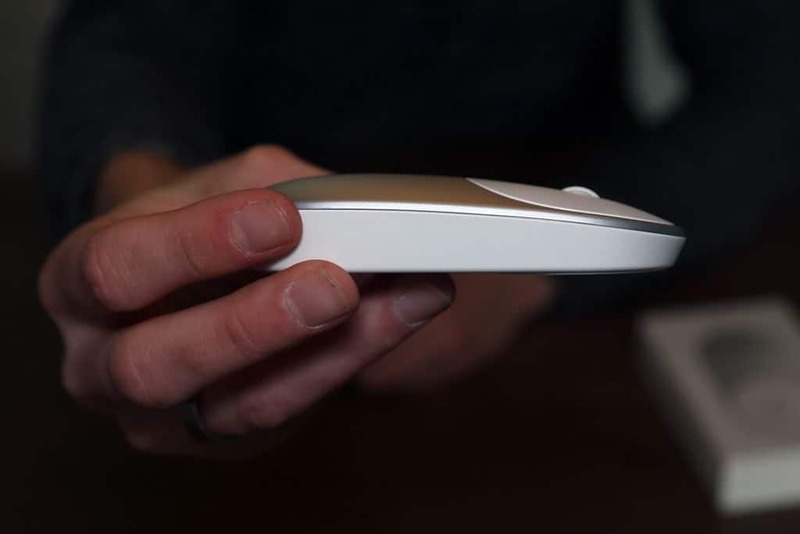 The mouse slides well because of the two big sliders underneath the mouse. It works on different materials except for glass. The left click on the mouse is a little bit harder than on my old mouse, but I’m now getting used to it. Because of the small and flat form factor, it’s not a very ergonomic mouse. That’s the reason why I thought I would grab my old mouse soon. But that is not the case. After a week of using it, I don’t miss my old mouse anymore. Click and there opens a new window with the specs and more info. For this price, you can buy this mouse without regret. The connectivity and design are worth the price!